With some 3,300 miles of tidal shoreline, the Texas Gulf Coast is a paddling wonderland for intrepid kayakers. Navigating the inlets, bays, bayous and estuaries is an excellent way to discover famous fishing holes, historic lighthouses and better bird-watching than just about anywhere else in the world. If kayaking down a raging river is too much excitement and paddling across a placid lake is not enough, then you might consider kayaking the Texas Gulf Coast. From Beaumont down to South Padre Island, thriving wetlands serve as happy habitats for a variety of shellfish and millions of migrating birds. Paddling through coastal estuaries and around smaller islands along the shore, it&apos;s easy to see why the Texas coastline is considered some of the best kayaking in the country. It&apos;s almost a shame that Galveston has so many pretty beaches, historic Queen Anne homes and great attractions, because it means the thousands of acres of healthy wetlands that line its coasts are too often ignored. While kayaking the Christmas Bay Paddling Trail, however, I was thankful for the peace and solitude. The 19-mile route took me in, out and around more than 200 acres of habitat-sustaining seagrass, the largest remaining stand on the upper Texas coast. I had a fishing pole and binoculars with me, along with plenty of time to cast for redfish and watch for the elusive reddish egret, Galveston Island&apos;s official bird. After regaling my friend with the pure awesomeness of my kayaking trip in Galveston, I was able to persuade him to join me on my next adventure. Port O&apos;Connor is a small fishing town on Matagorda Bay, about 150 miles south of Houston. With only one highway in and out, it&apos;s a relatively quiet place, and since our goal was to get away from big-city blues, quiet was just the ticket. Several trails wind in and around the marshy islands near Port O&apos;Connor. The main routes marked out by the Texas Parks and Wildlife Department looked great, but we liked the idea of paddling one that the locals came up with, which is how we decided on Mitchell&apos;s Cut trail. Starting at dawn before the south winds got strong, we paddled south along the shoreline to Saluria Bay, seeing dolphins swimming alongside us in the deeper water. Then we detoured a bit south to Lighthouse Cove. The historic Matagorda Island Lighthouse went into service in 1852 and even saw a few skirmishes during the Civil War. That night we were famished. The local guy who&apos;d given us the map for Mitchell&apos;s Cut told us that Cathy&apos;s Restaurant was the best in town, and he met us there for all-you-can-eat fried shrimp and unlimited trips to the salad bar. The furthest thing from food snobs, we were delighted with the arrangement. When we mentioned paddling out to see the Matagorda Island Lighthouse, the local told us about another old lighthouse you could paddle past—the Lydia Ann—that was closer to the Aransas National Wildlife Refuge. We asked the obvious question: “Lydia Ann who?” and found it was a point of contention with historians. She was either the daughter of the first lighthouse keeper or the wife of a veteran of the Texas Revolution. Either way, we made a note to paddle by on our next trip. 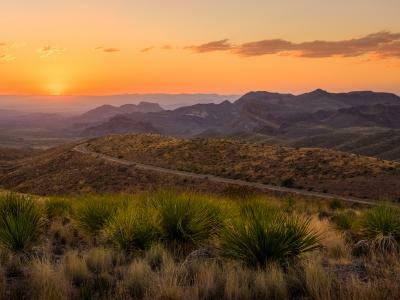 Formed about 3,000 years ago when sea levels in the area stabilized, the ancient body of water known as the Laguna Madre runs 130 miles along the southern coast of Texas. It&apos;s separated into upper and lower bays by the 20-mile Saltillo Flats (Land Bridge). I was meeting friends on South Padre Island, a beach resort town at the southern end of the lower section. My plan was to lure them away from the hotel pool with the unmitigated delights of a half-day kayaking trip. Two of the six took me up on it, so off we went. 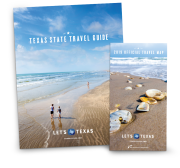 The Laguna Madre is one of the most protected bodies of water in the world, surrounded as it is by the Lower Rio Grande Valley National Wildlife Refuge, the Laguna Atascosa National Wildlife Refuge and the Padre Island National Seashore. With all the wildlife around, there had to be at least one trail that would give us a good chance of seeing some of it. I asked the guy at the rental place, and without hesitation, he recommended the South Bay Trail. Oh. My. Goodness. It was like a zoo, with our kayaks as the ideal viewing platform. In the span of a few hours, we saw an armadillo, a raccoon and two coyotes along the shoreline, as well as untold numbers of migratory birds. For once, we were overjoyed to have our “bird nerd” friend there to tell us all about the cormorants, gadwalls and green-winged teals we saw as we paddled past gorgeous seagrass and black mangrove stands. 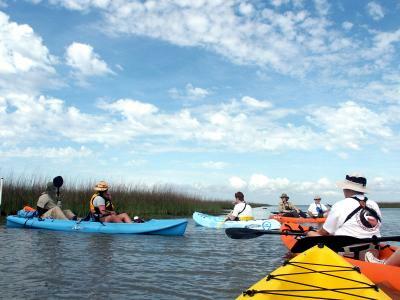 With all the bayous, bays, marshes and wetlands along the Texas coastline, there are dozens of kayaking trails either already identified or waiting to be explored. Local groups in individual regions are a terrific resource for maps, along with any updates or changes due to nasty weather. So take a fast trail to Texas, bring your own boat or rent from one of the ubiquitous kayak outfits in every port city and we&apos;ll see you on the water. An ophthalmologist from a small town in northeast Texas wrote the book on kayaking the Texas Coast. Literally. John Whorff has been paddling the Texas coastline since 1988, and his book—wait for it—"Kayaking the Texas Coast” details everything from the best routes and recommended equipment to a rundown of the wetlands and wildlife you&apos;ll see along the way.